All marketing, all the time. CREDEMA’s Marketing Suite has all of the tools you need to bring exceptional omnichannel experiences to your leads and customers. Give your contacts the digital experiences modern buyers demand and ignite your marketing strategy with cutting-edge marketing tools from email marketing and lead nurturing to websites, landing pages, social media management and more. We understand that your day is packed full. So, to make your job easier, CREDEMA provides you with an easy-to-use marketing platform, built by marketers, for marketers. We put the power in your hands to develop a well-rounded and capable marketing plan. Your marketing has never been so strong. Find out more about how you can leverage CREDEMA’s marketing tools to help automate, streamline, and drive revenue. Marketing automation with CREDEMA starts by establishing the journey your customers take from awareness to conversion. CREDEMA’s Journeys is your ticket to creating the paths that your customers will frequently make when interacting with your business. Developing active business processes, and integrating both your sales and marketing efforts has never been so intuitive. By using the drag and drop builder, you can quickly build customer journeys, which take into account both action and inaction from the lead or customer. Personalise your journeys based on how the person interacts with your activities, including emails, follow-ups, and so forth. Create intricate roadmaps for marketing campaigns, sales tasks, and other areas that would benefit your business. Marketers who invest in marketing automation stay competitive, bring in more leads, and help develop longer-lasting relationships with their clients. 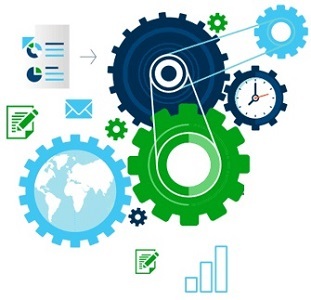 Marketing automation is the use of software, such as CREDEMA, to automate the marketing and sales process. It enables you to collect and integrate essential data, manage your campaigns, and successfully segment your contact lists for increased personalisation. Marketing automation will help you streamline your workflows and tasks so that you can grow revenue faster. 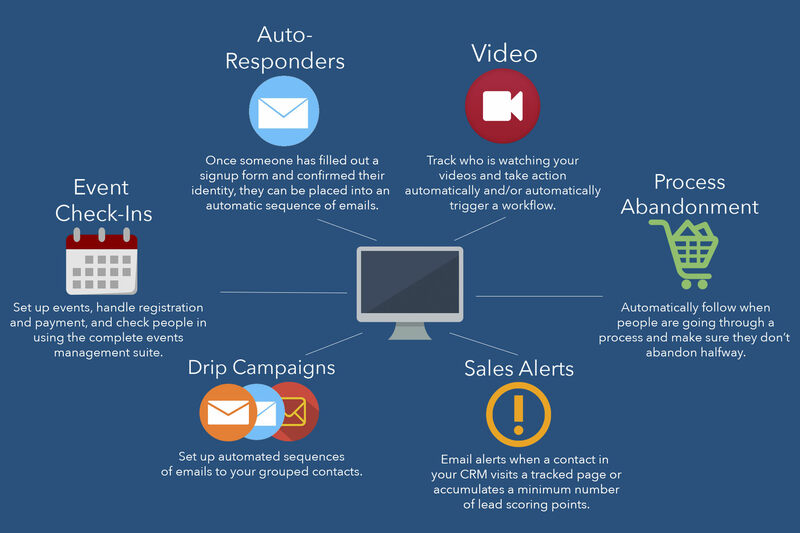 CREDEMA’s marketing automation tools help businesses engage and drive leads down the sales funnel. Successful marketing automation enables you to streamline your marketing efforts to keep them consistent and ensures no marketing task gets left behind. It helps establish a fluid process for all of your leads and clients, so every contact shares the same positive experience with your brand. Triggered emails get 6-10 times more engagement. From drip campaigns to social media, keeping your contacts engaged whether they are a new lead or a loyal customer is critical to building your brand strength and awareness. Staying top-of-mind isn’t always easy with so much competition, but CREDEMA makes it simple. Our automation tools are straightforward to set up in your forms, websites, videos, and more. 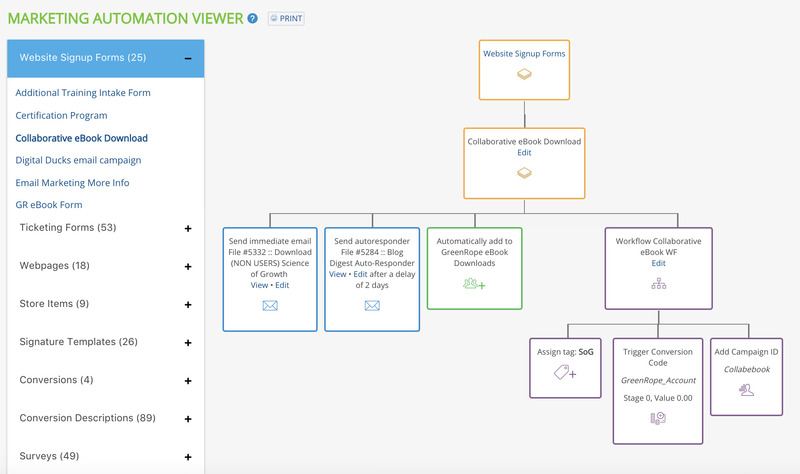 To make things even easier, use CREDEMA’s visualisation tool to graphically view all of your marketing automation so that you can see your automation at a glance. 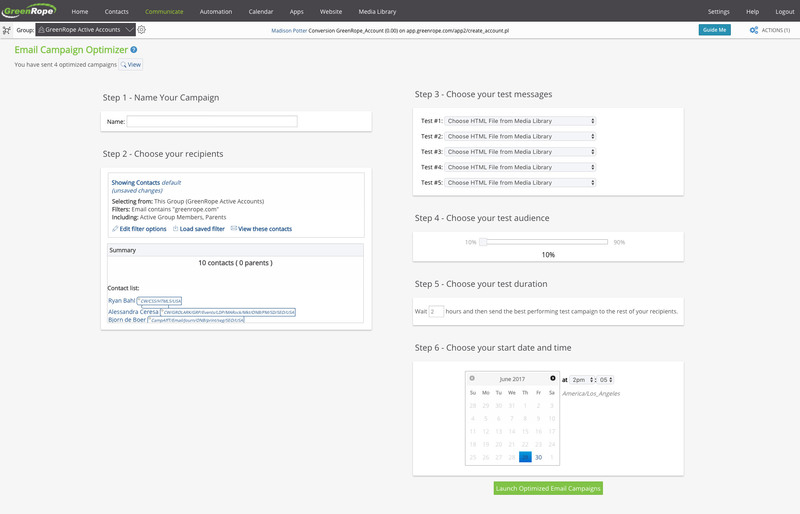 Automate your campaigns and trigger actions based on audience behaviour. Connect marketing and sales by triggering sales follow-ups when a lead downloads a whitepaper or actively engages with content on your website. CREDEMA makes collaboration between your sales and marketing teams a seamless endeavour. Activate workflows using a wide range of triggers including forms, website visits, clicking a link in an email, watching a video, purchasing an item, and much more. Your team will never be so efficient. There is a big difference between an email service provider (e.g., Constant Contact, MailChimp, iContact, etc.) and software like CREDEMA that allows for accurate marketing automation. ESPs focus on simple newsletter building, sending, and tracking. In business, it’s known as “batch and blast,” and the most common side effect is that it doesn’t have any direct or measurable impact on sales or success. CREDEMA’s integrated solution brings your communication to another level. You still get all of the newsletter building, sending, and tracking tools, with the added power that comes from our marketing automation and multi-channel marketing methods (post-click tracking, landing pages, automatic CRM integration, mobile messaging, etc.). Your website is your online headquarters and helps you inform, educate and engage your leads and clients. A site is a foundation for any digital marketing strategy. CREDEMA’s website builder allows you to design and publish a fully functional website. Select your template, customise your logos, colours, layout, and widgets. Once you have the design in place, you can add as many pages as required. The sky’s the limit. When you build your website with CREDEMA, your website is automatically tracked, and you will receive real-time analytics and notifications for people clicking or visiting your site. Using the website creator along with the drag and drop EasyBuilder, you can design a professional, customised landing page for all of your campaigns. Quickly create landing pages and microsites using CREDEMA’s EasyBuilder, and efficiently manage them all within our content management system. Any ‘non-web designer’ can manage their website with ease. No HTML experience is necessary! Build web pages personalised to the person visiting the page! Because our analytics package keeps track of people in your Contacts/CRM database, we can create content specifically for your contacts. Use a simple name placeholder like “Welcome, Mary” or our more complex dynamic placeholders (e.g., “if contact’s City is Switzerland, put the Switzerland article here”). An SSL certificate is the cornerstone to making your website secure. We are proud to offer free SSL security for all custom domain websites set up in CREDEMA. Making your website safe ensures that your customer’s credit cards and personal information are protected when they visit your e-commerce site. SSL certificates promote a trusted brand with the use of a visible browser security lock. Sell anything you want (well, anything legal) through your easy-to-configure website store. CREDEMA integrates with Paypal and Authorize.net so you can have your store up and running in minutes. Put items into categories, set up marketing automation, set goals, and keep a complete transaction log. You can even sell downloadable items like whitepapers. It’s all here for you. Selling your products has never been easier, and our e-commerce solution can help you! Shopping Cart Abandonment Tracking makes it simple for you to understand how your customers use your site and enable you to adjust accordingly. When you put all of your contacts into CREDEMA you can see if one of your candidates is returning to a particular page. It allows your sales team to send more information or follow up with a phone call to close the sale. If you see that a prospect is checking out a particular product or service multiple times, you can create a targeted email for their needs. By specifically talking about an individual product or service features and benefits, you are routing them through the sales funnel. Instantly see which of your campaigns and landing pages are the highest converters! Compare total page views, the time on pages, conversion values, and more all in a single, easy-to-understand view. Data is everything. Use it. With CREDEMA, it’s easy to create an ideal customer experience. With just a few clicks, you can add your signup forms, trackable videos, weather widgets, sliding images, and even an interactive Google Map. Email marketing remains one of the most effective ways to convert your email audience. Whether you are moving new leads down the funnel with lead nurturing drip campaigns or keeping your contacts in the know with monthly newsletters, promotions, and other engagement points, CREDEMA’s email feature is a marketer’s perfect tool. 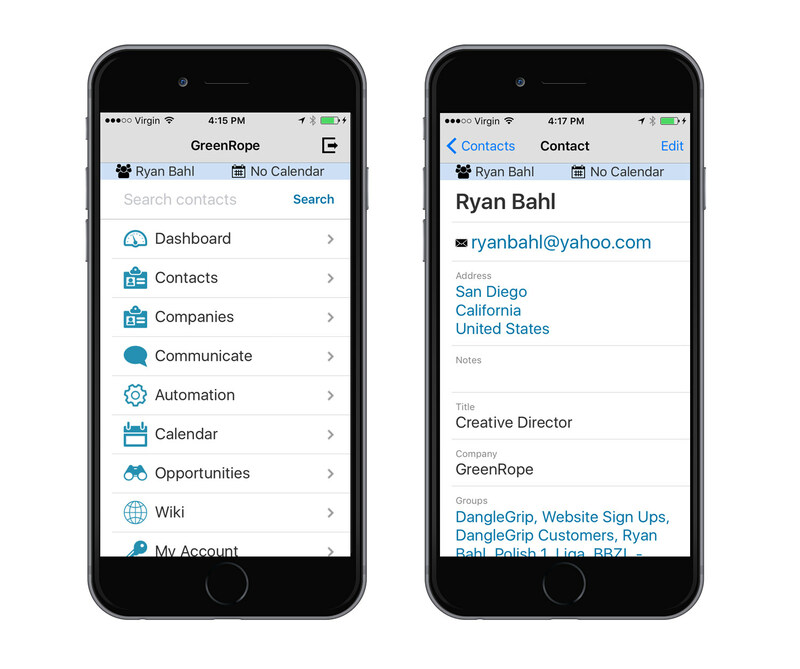 Make your emails stand out from the crowd with professional, mobile-friendly emails. Choose from one of our hundreds of templates or use our drag and drop EasyBuilder to customise your email templates completely. The EasyBuilder empowers you to create masterful designs for your emails using a quick and straightforward drag-and-drop builder. Editing and organising your content into a design that fits within your company brand has never been easier. With the EasyBuilder, you’ll never need to worry about learning HTML or depending on developers to create your desired email templates and campaigns. 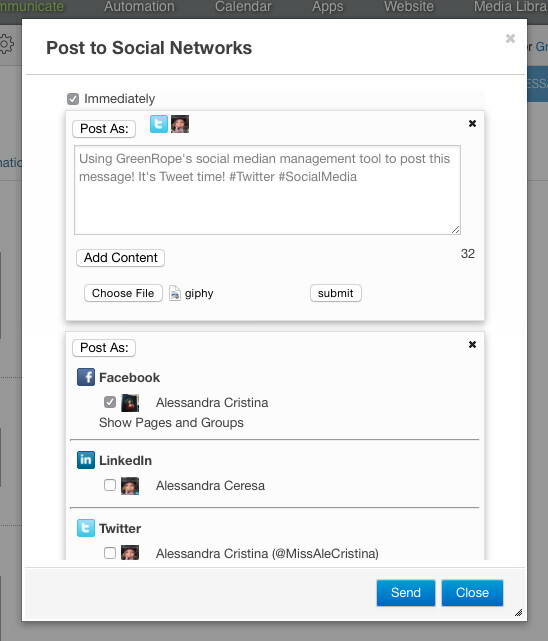 CREDEMA integrates seamlessly with your social networks so that you can share your emails with your entire audience. It’s a great way to grow your contact database, and make your communication available with an omnichannel approach. Email marketing integrated with CRM provides you with a robust sales and marketing tool. Some of the benefits include sophisticated list segmentation, boosting lead generation, improving the customer experience, and ultimately increasing sales and driving revenue. The video below shows you a few ways how using CRM and email marketing together can help your business. Integrating CRM into your targeted email marketing campaigns will help you to identify potential leads and grow your contact database. By tracking these leads, your sales team will be able to quickly and efficiently move them through the sales funnel. Combining digital marketing with CRM allows you to distinguish which messages are most appropriate for which readers. Providing relevant and exciting content keeps your customers engaged and improves your client relationships and business marketing efforts. Using CREDEMA’s CRM software to track and log all email communication enables your sales and marketing team to create specific and targeted email messages for anyone on your email list. By placing the right information in front of the right person, the probability of converting leads into sales rises substantially! CREDEMA’s integrated CRM solution will enable your sales team to recognise and act on opportunities to upsell products and services to current customers, while the email marketing platform will reach new audiences. Combining CRM with your email marketing provides sturdy support to your sales and marketing team. Quickly define a customer journey from start to end with Journeys. CREDEMA’s Journey feature is not solely about automating your daily workflow, but also about gaining a better insight into the path your customers take through your processes. A visual roadmap is crucial to understanding the time it takes to move through your process, identifying unwanted gaps or glaring mistakes, among many other vital aspects. With Journeys, you gain an intelligent personal assistant that automatically monitors and transitions contacts to the right action at the right time. The Journeys feature empowers your team to accomplish all of this in an easy-to-use and feature-rich environment. 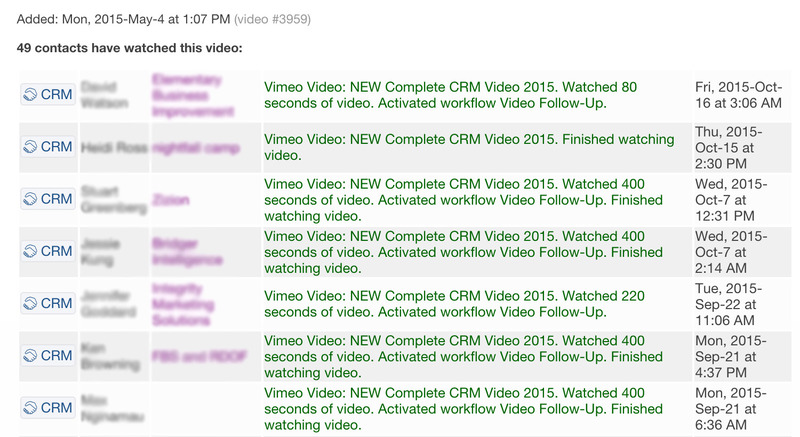 Actions are used to send out an email or trigger a workflow at any given point in your process. They are the lifeline of your Journey. Decisions are the fork in the road for your Journey. They create logic in your Journey by sending customers down different paths depending on their contact data or what they did in previous actions. For example, you can set up a decision based on if someone read the previous email in the Journey. Delays pass the time in your Journey. They are useful for giving an ample amount of time for your customer to read an email, click a link, act, etc. Stops are the ideal way to end a Journey for a customer. They ensure that you can track each person to an endpoint to make sure they made it down their separate paths. Share your successful Journeys with other people by importing and exporting! If you are a consultant or business developer, exporting your tried and true CREDEMA Journey will empower you to share or sell it to other users who are in need of world-class Journeys. Importing Journeys gives you the ability to survey what has worked for other businesses, and apply the same tactics to your own. Your teams need new tactics, and now you’ll have an endless supply by connecting with other users and sharing ideas. After you set up your journeys, you’re now all set to monitor the progress of each contact within their contact record. From here, you can see which step they have progressed to, while also being able to skip them to the end of your journey. Clicking to view their current progress in the journey brings up an animated window that recaps the current route they have taken in the journey and where they will be headed. Landing pages are targeted micro-sites aimed at converting visitors into leads. They have a clear purpose, usually as part of a campaign, and include a call-to-action with the goal of getting visitors to give you their information. With an integrated landing page creator, CREDEMA is the perfect tool to help you design and build professional and customisable landing pages for all of your campaigns. Easily build landing pages with the CREDEMA EasyBuilder. Drag-and-drop your way to a fantastic looking micro-site, no HTML experience necessary. Come up with some excellent content, embed your signup form and start converting contacts into leads instantly. All of your marketing campaigns and events should have a designated landing page to educate, inform, and collect valuable data about your leads and customers. Any contact who signs up on your landing page will automatically be added to your database, ready for action. No campaign is complete without proper testing. A/B testing allows you to test different elements of your landing pages whether you are changing content, a headline, your form, or any other aspect of the page. Testing these elements provides you with a clear view of which page results in higher conversions so that you can optimise every campaign for peak performance. Website tracking provides you with valuable information on how people are engaging with your site. You want your website to attract, convert, and provide visitors with the content they are looking for in an easy to navigate and highly digestible format. Understanding your site’s performance is key to optimising your visitors’ website experience. 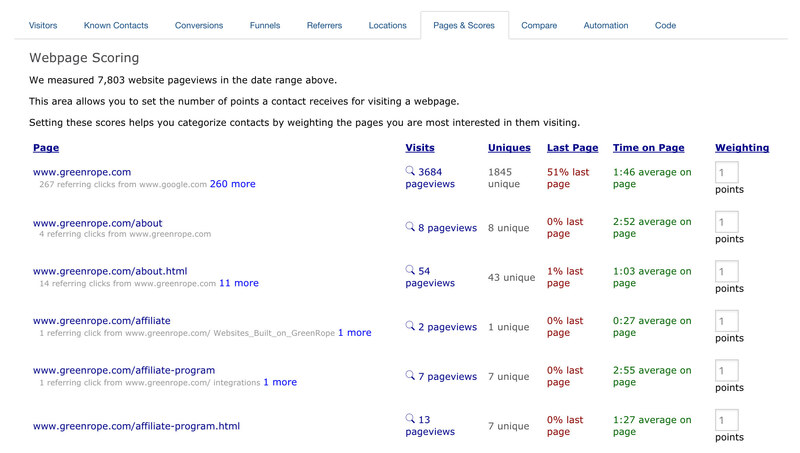 Along with website tracking, you can also assign a score to web pages. For example, if a contact visits your pricing page, this might receive a higher score – as they are actively interested in your product and price shopping, whereas a person visiting your careers page will get a lower score since they are probably not a viable lead to convert. 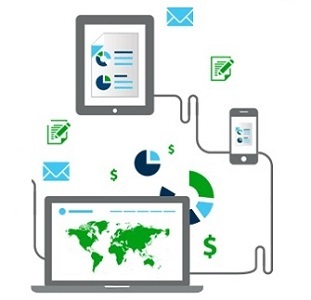 Conversion tracking is critical to your campaign success. How many people sign up on your website are actually converted into paying customers? The ability to track this information gives you the power to update and revise your marketing and sales strategies accordingly to ensure the majority of your leads convert at the bottom. A/B testing is another excellent feature that CREDEMA offers. A/B testing allows you to test out two different versions of the same landing page or webpage. Which page converts more? What content performs better? This type of information, again, is critical in optimising your strategy. If your website is powered by WordPress, just download the CREDEMA plugin and immediately start tracking. When it comes to your emails and landing pages, one size doesn’t fit all. Templates, design, and layout are all critical pieces that add to the big picture of your brand. Some email platforms limit you to basic and unappealing layouts, while other platforms require extensive HTML knowledge. Luckily with the Email EasyBuilder, we accommodate all types of businesses and entrepreneurs, no HTML experience required. With the easy-to-use drag-and-drop Easy Builder, you can create beautifully personalised email templates that fit your business branding and content requirements. 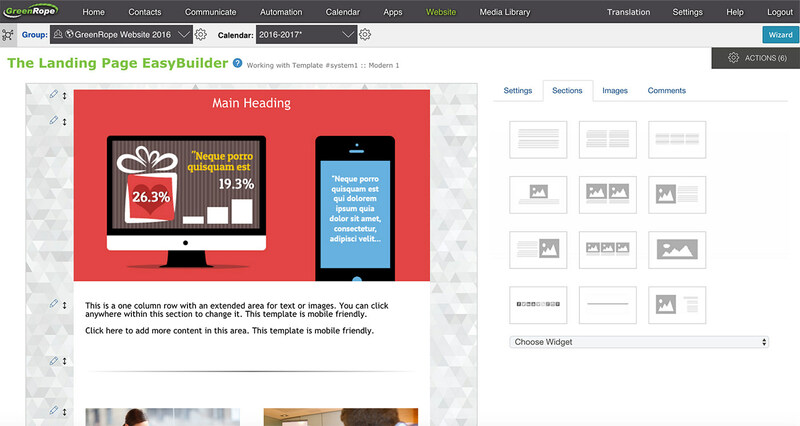 Save time by placing content, images, and widgets with a simple click and drag. Save money by not having to hire any design professionals – EasyBuilder makes you the design professional. We understand how important it is to brand your business correctly. We give you the tools to showcase your brand in a professional and customised way successfully. The CREDEMA email marketing feature and landing page designer are the perfect tools to help you generate leads, engage your contacts, and drive conversions. Do you work on the go? The CREDEMA EasyBuilder goes with you wherever you do. Now you can drag and drop your way to beautiful templates using your iPad or tablet. Turn visitors into customers with engaging landing pages and logic-based signup forms. Setting up your first landing page campaign is quick and painless, so you can instantly bring in leads. Signup forms let you capture valuable information about your contacts so you can personalise your campaigns based on demographic information. 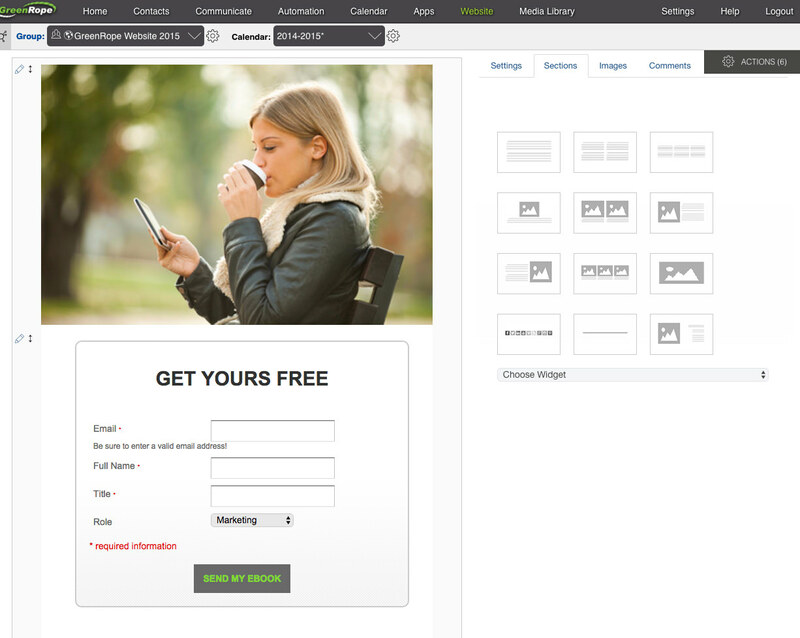 Choose from any of our responsive landing page templates, and easily embed signup forms using CREDEMA widgets. Trigger workflows, send multiple auto-responders and drop contacts into lead nurturing campaigns, ensuring that no lead or contact slips through the cracks. Your CREDEMA account comes with automatic contact research on public-facing forms, providing you with instant data in your CRM. This research is FREE and includes social media information, photos, interests, and more. 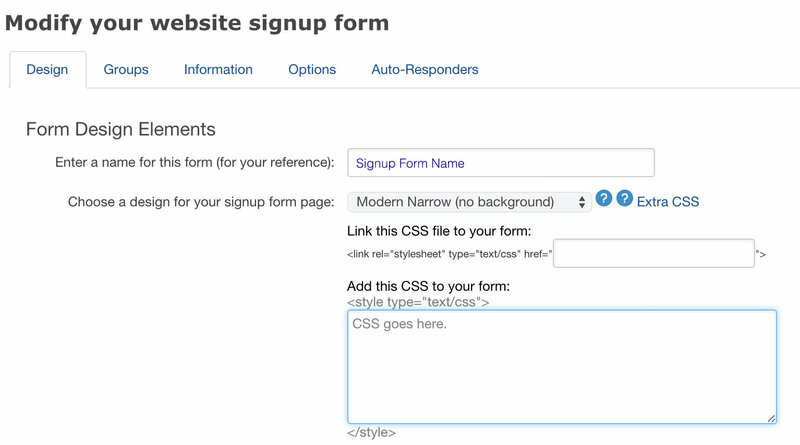 Make it easy for returning visitors to fill in forms on your website. Progressive profiling automatically fills out known fields on your signup form. This saves time for the person filling out the form and creates a more personalised experience. Tracking your email marketing efforts allows you to see how your contact list is engaging with your messages. Are they opening and clicking on your emails? Do you have a high bounce rate? The ability to track the results of your campaigns helps you to understand your customer and fine-tune your communication to better resonate with your readers. CREDEMA has advanced tracking capabilities allowing you to compare broadcasts, view benchmarks, track when and where your emails are being opened and much more. Access read and click data, as well as complaints and bounces. Our spam metre will let you know where you stand with your clients. Understanding your email metrics will help you optimise your campaigns and create better messaging for your overall marketing strategy. A drip campaign is a series of emails that are automatically sent out over a specific time frame. Drip campaigns are a powerful marketing automation tool helping you engage contacts, drive conversions, and save you time and money by relieving manual processes. It is essential to develop your relationship with your client continuously. To do this, you must obtain as much information about them as possible. Drip campaigns are a great way to gather this information. With CTAs, downloads, links to forms and full drip campaign tracking, you gain valuable knowledge about your most qualified leads. Knowledge is power. Automation helps give you this power. Drip campaigns are great for providing informational content about your business, your team, your services, and more. From lead nurturing to onboarding or just staying in touch, CREDEMA lets you set up multiple drip campaigns so you can segment, drive leads down your sales funnel, and keep your contacts engaged with your brand. To efficiently nurture leads and consistently engage with customers and clients, a business must first invest in an integrated CRM and marketing automation platform. Technology, in conjunction with your content and overall strategy, allows a company to educate, inspire, and convert successfully. Setup your drip campaigns to create an entirely customised customer experience. Create your templates, personalise the content, and establish the schedule in which they are sent out. You can also automatically drop people in and out of campaigns based on how they engage with your messages. 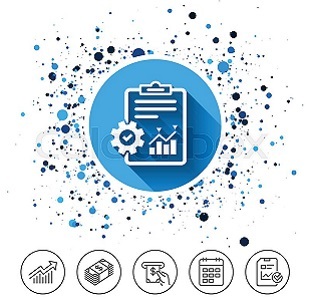 CREDEMA makes it easier than ever to create surveys and start gathering information from customer satisfaction and market research to team member events and employee engagement. From a simple poll to an in-depth questionnaire, CREDEMA has you covered. Our survey builder makes it easy for anyone to create, execute, and track all survey activity, miscellaneous or not. You also have the option to create an anonymous survey to place on your website! 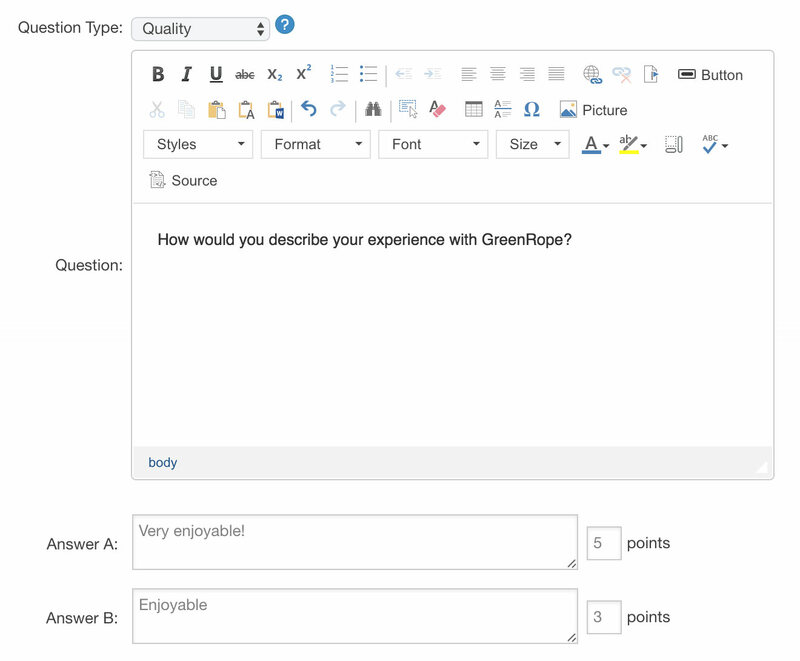 As with almost all other features in CREDEMA, surveys can be used in other areas of the platform to extend the usability. For example, with the email builder and the LMS, to name a few. You can effortlessly add your survey to an email broadcast and have the results tied to your contacts. 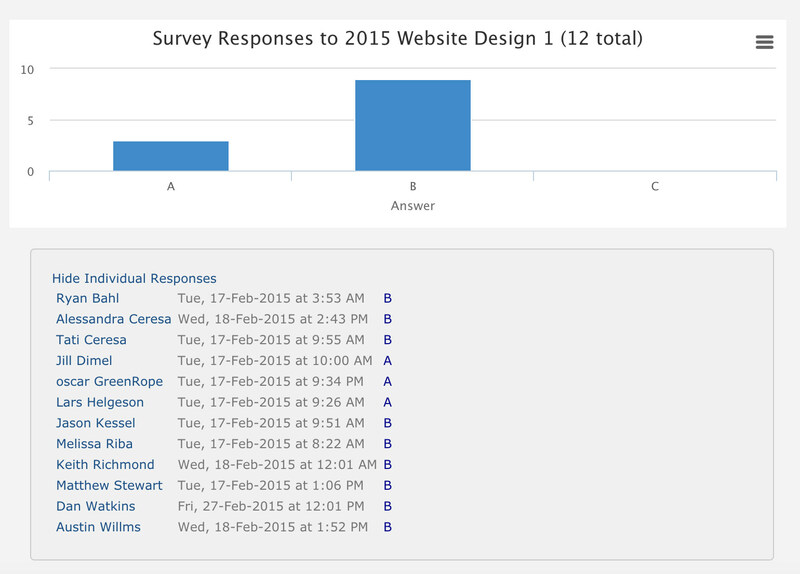 The survey questions you create are also used in the LMS as the questions in your courses. Our surveys are built with you in mind to ensure that it’s straightforward to get the feedback you require, promptly and smoothly. 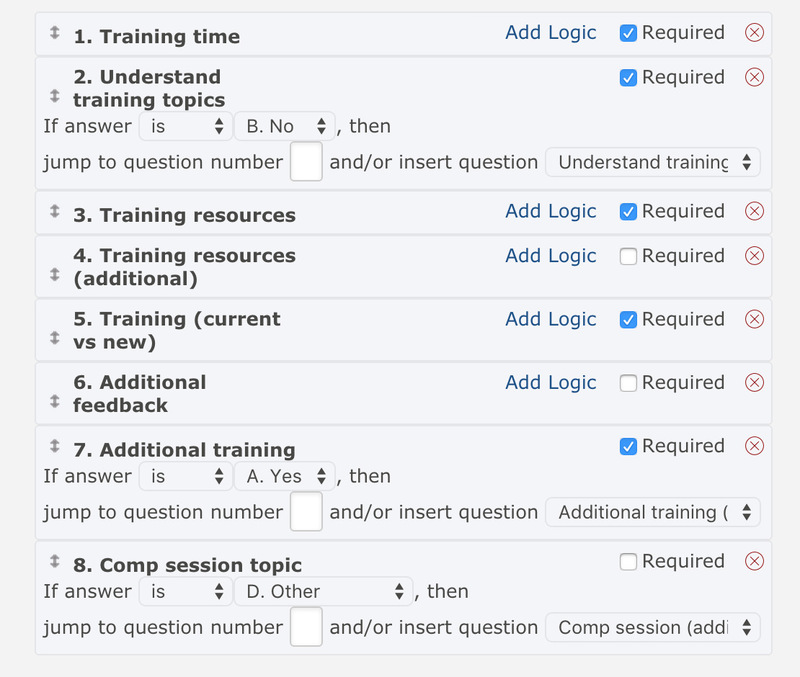 Built-in Logic – If someone answers in a particular way, you can set up automatic follow-up questions to appear based on the previous question. Analytics – instantly track the results of your surveys and analyse them to see how well it is resonating with the recipients. 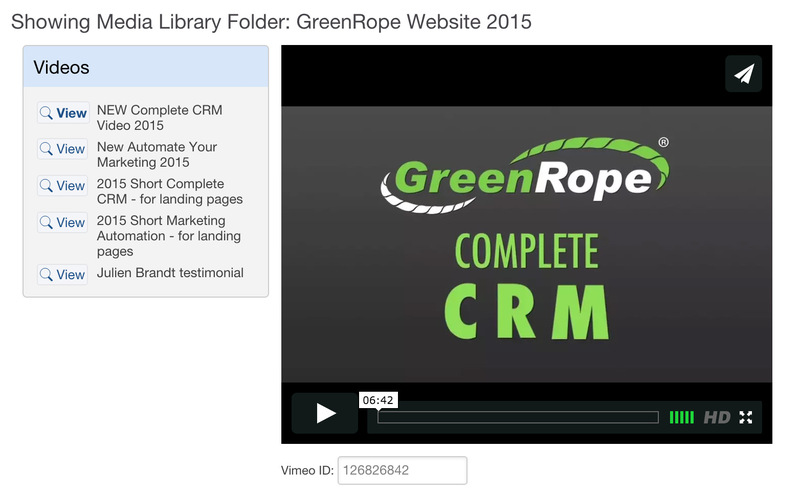 A video is a great way to convey your message to your leads and clients. With CREDEMA, you not only have the power to see who is watching your videos and when, but also trigger automatic workflows based on how much of the video they watched. With over 150 email templates available, you’re able to send your newsletter, promotion or invitation in minutes. All of our templates are easy to personalise within our WYSIWYG (What You See Is What You Get) editor. You can change colours, add your own images and much more. 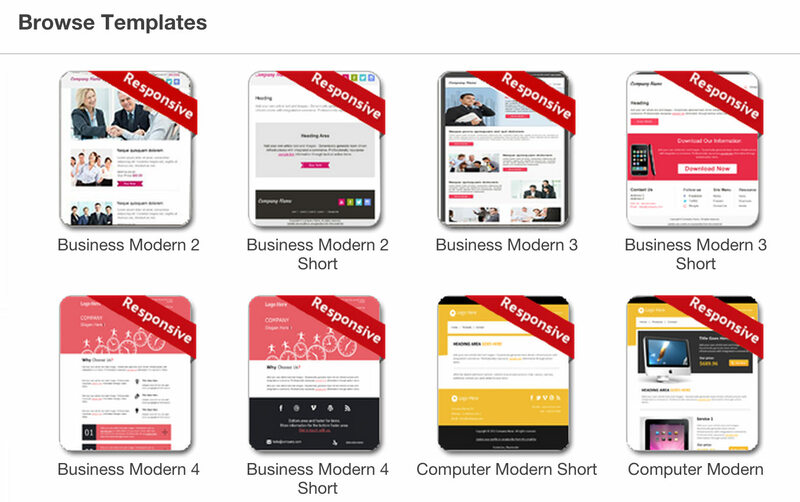 All of our templates have been tested in all of the major email clients (desktop and web-based). Every CREDEMA account comes with a website manager that has a complete CMS (content management system). Each group within your account can have it’s own website. We have over 150 website templates that are all customisable. We have many to suit your needs, from a primary blog site to a complete website with a shopping cart. All of our templates have been tested in all browsers and operating systems. A large part of a marketer’s job is testing your strategies and marketing initiatives. With CREDEMA’s Campaign Optimiser tool, you can test various versions of your email campaigns to ensure that you’re receiving the absolute best results based on your customised lead scoring. The Campaign Optimiser is perfect for split testing different subject lines, graphics, the layout of content, or any other features in your email templates. 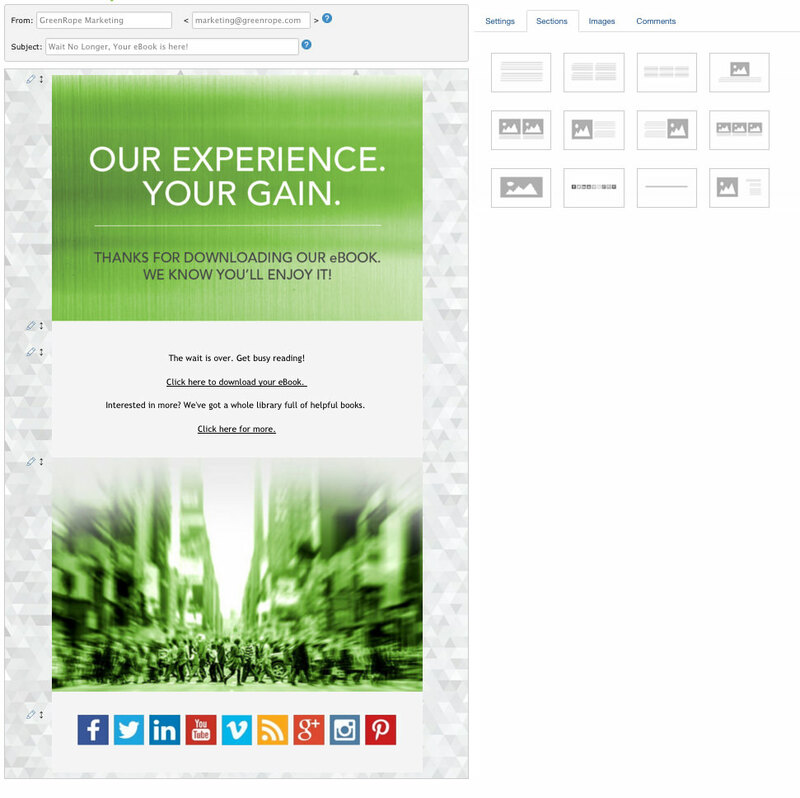 Create your different email templates, and let CREDEMA handle the testing. Test up to 5 different versions of your email and only send to a pre-specified percentage of your contact list. After you have conducted the testing, the Campaign Optimiser will automatically send the rest of your contacts the best performing version of your email, based on your personalised lead scoring. 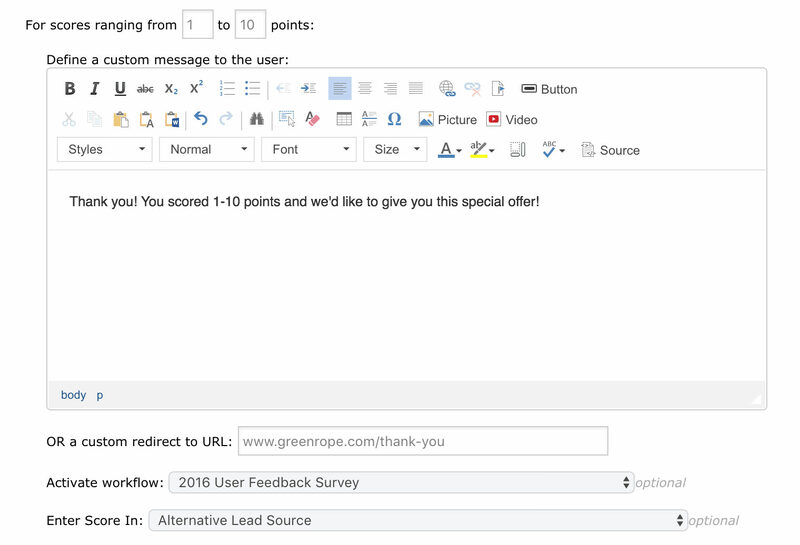 Lead scoring makes it simple for you to prioritise clicks of specific URLs (such as call to action buttons), opening the email, or other relevant metrics. CREDEMA simplifies another complex marketing function with a straightforward, compelling tool.